A customer once said, "I love all the things bookstores sell that aren't books". Here's a sampling of the fun non-book items you will find at City Lights Bookstore. Indulge yourself, or pick up unique gifts that celebrate the life of the mind. 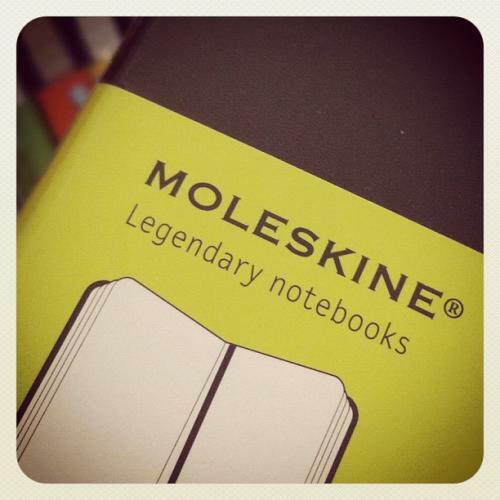 Check out our great selection of greeting cards, art, maps, calendars, art, readers' accessories and journals from Moleskine, Paperblanks, et al. We also stock a number of monthly magazines and comics. Let this master of the theater be a master of your puppet theater! What new plays might Shakespeare have devised in states unborn and accents yet unknown? The answer is in your hands! Or on your hand. Your finger, more specifically. On your finger, he's a puppet; on your fridge, he's a magnet! We also have other great figures from history in magnetic finger puppet form: Sherlock Holmes, Frank Lloyd Wright, Zora Neale Hurston, Jane Austen, Buddha, Charlie Chaplin, Charles Darwin, Dorothy Parker, Albert Einstein, Emily Dickinson, Lief Ericson, Freud, Frida Kahlo, Ganesha, James Joyce, Monet, Nietzsche, Pavlov's Dog, Pocahontas, Queen Elizabeth , Sappho, Eleanor Roosevelt, Hemingway, Joan of Arc, Kafka, Lincoln, Shiva, Gandhi, Mozart, Edgar Allen Poe, The Scream, Mark Twain, Virginia Woolf, and Schrodinger's Cat. This is just one of the many cool maps we carry in the store: click here to see a few more we have listed on-line.